Well the fellows over at the D6 Generation wasted no time and have done an outstanding review of the new Firestorm Armada sci-fi ship combat miniatures game by Spartan Games. Forward to 2hr 24min into the podcast to get right to the review. We agree with the D6G overall that Firestorm Armada has the potential to be an outstanding game. The only real negative we have seen so far in the game is that there seems to be no allowance for disparate fleets. To keep a solid balance the six fleets currently in the game all have a similar balance of support ships, capital ships, and carriers. None of the fleets focus heavily in one area such as smaller ships, wings, or large capital ships. We have not tried playing a disparate scenario yet so it is possible the system can handle it, but we suspect such a game would be considerably unbalanced. A race would probably need to be designed from the ground up to make such a unique composition balanced with the existing fleets. If you have even the slightest interest in sci-fi ship combat give Firestorm Armada a look. 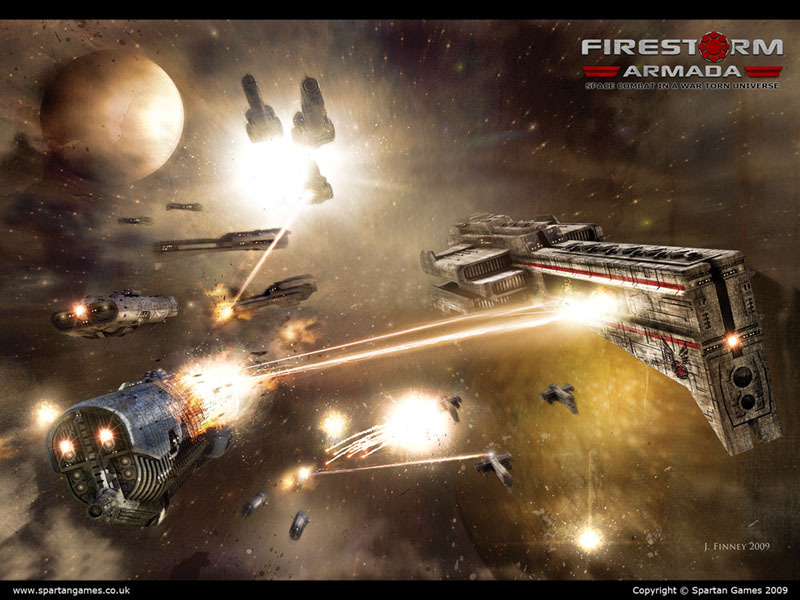 Also see Firestorm Armada — First Impressions and Spartan Games Interview. This entry was posted in Firestorm Armada, News and Updates, Podcasts, Reviews, Sci-Fi.